Narrative: Placed here by Ida (Thomas) Crowe and the family of the late Edna(Thomas) Wilsondaughters of the late Harry and Sadie(Schultz)Thomas all originally of Lower Sackville. 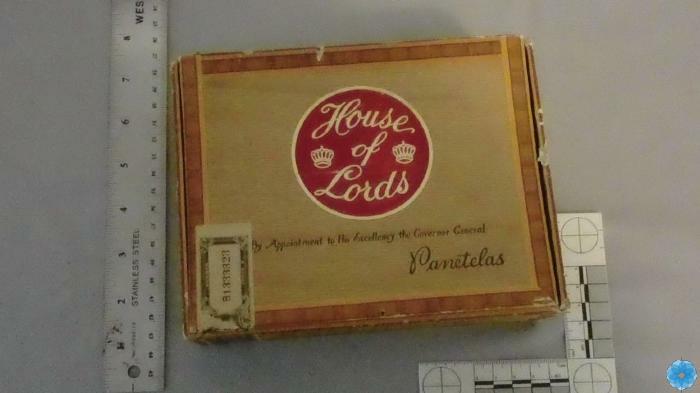 Description: Brown box, House of Lords in red circle, two crowns in circle. By appointment to his Excellency the Govenor General -Pantelas.